"I live and work in Boston. 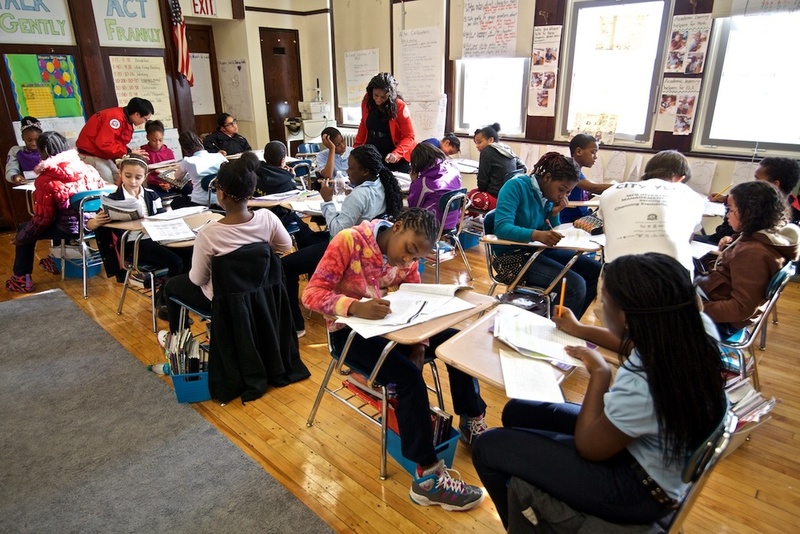 As a member of this community, i am committed to teaching in the boston public schools." 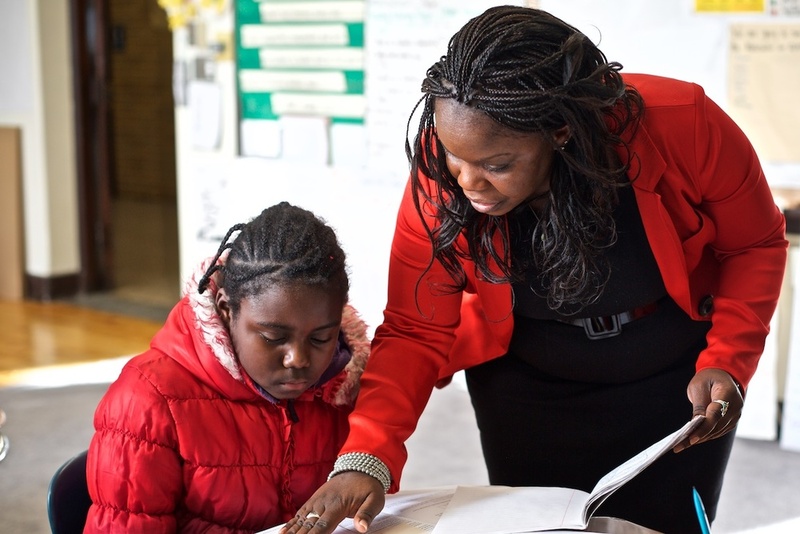 As a native of Boston, and a product of the Boston Public Schools, Bernadine Lormilus identifies with every eager and inquisitive student in her classroom at the John Winthrop Elementary School in Dorchester. Her desire to teach in the BPS comes from her commitment to the students and communities of Boston with which she is very familiar. Bernadine appreciates that professional learning opportunities she receives to help her meet the needs of every student in her school, and also takes advantage of the many teacher leadership opportunities in the BPS to help her grow as a professional and lead her colleagues. The Boston Public Schools Office of Human Capital sat down with Bernadine Lormilus in fall 2014 to learn more about her experiences in the Boston Public Schools as a community member, teacher, and educator of color. Here's what we learned during our time with Bernadine. Why do you love to teach? I love the zeal that my students bring with them to school each day, so they can learn and apply new learning. What is one of your keys to success in the classroom? I believe in analyzing and reflecting on my teaching instruction by using student work and implementing multi-modal approaches to help reach all of my learners. What was the best unit/lesson you've ever taught? I recently taught a lesson about reading complex texts. Students were placed in groups of 3-4 and each group had an assigned article from the Universal Declaration of Human Rights. Students had to read, annotate, use context clues and Greek affixes to identify meanings of words, and paraphrase the article. Then, each group had to present the information from the article using words and actions. The lesson was a huge success. As a Boston teacher...I’ve been an active member of the NAACP Educational Committee and I was accepted as a Teach Plus Policy Fellow. Both opportunities have been wonderful experiences for me. Dinner with anyone, dead or alive? Rosa Parks.